Most complaints about drinking water are about taste, odor and hardness which are issues that can often be remedied by a home treatment device. If any health or safety problems are identified when you have your water tested, water treatment devices can help with those problems. 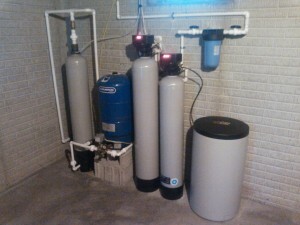 It is best to always have your water tested before installing a drinking water treatment device to help you determine what type of water treatment system is the most suitable. 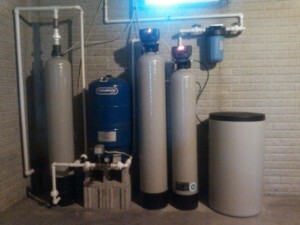 If you get a home water treatment device installed, you need to remember that maintenance is necessary. 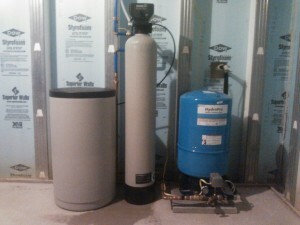 Usually, you will need to replace filter cartridges or ultraviolet lights at least once a year. If you are unsure about the certain type of maintenance for your system, Action Drilling is here to help with all of your water treatment questions! What contaminants may cause taste, odor, color and other drinking water problems? Iron in your water can stain your laundry and fixtures and give your water a bitter, metallic taste. Iron can be in soluble or oxidized form, each requires a different type of treatment. Hydrogen sulfide is a gas produced by decaying underground organic deposits, which gives it a rotten egg smell and unpleasant taste. Hydrogen sulfide is easily dissolved in water. It is very corrosive and will rapidly tarnish silver, causing it to turn black. Sometimes, the hydrogen sulfide is in the hot water but not in the cold. This may be due to a chemical reaction that takes place in the water heater between the magnesium anode of the water heater and the sulfate in the water. Hardness is common in ground water. It is caused by minerals being picked up by the water as it moves through rocks and soil. Areas with limestone rock are particularly susceptible. Hardness can cause mineral deposits in water heaters and pipes, film on sinks and bathtubs, and the need to use more soap in dishwashers and washing machines. Hardness can also reduce the efficiency of water heaters and cause them to wear out sooner. The more you know about the quality of your water and what treatment may be needed, the more likely you will be to avoid unnecessary, costly or inappropriate equipment. Please contact Action Drilling today so we can help you design a system for your specific treatment needs.